Party appetizers can many times be a last minute throw-together dish or pantry staple that is given little effort and time to create for your holiday party. But, they can actually enhance your party and provide your guests with a tasteful experience. By following a few good techniques you too can be successful with it by following tips and by planning ahead. Have fun with them, and this is an additional place in the evening where you can be creative and design an individualize party of your own. Appetizers can be served three different ways for your event. You may serve them as the main course, making them the star dishes of the party. If a cocktail party is more your style, serve several appetizers along-side for your guests. During a dinner party, greet your guests with a selection of few appetizers early as they arrive. However way you choose you to serve your appetizers, below I have selected important tips and hints to have the best appetizers for your guests to enjoy! What’s so great about them is you can adjust them to your taste, and customize them for own your dinner or party. Consider matching your ethnic dinner with your appetizers to casually introduce the spices and flavors to your guests when moving on into the evening. Why should you use them at all, with a dinner party or get-together. Here are some hints and tips for a successful party. If short on time look at your grocery store for short-cuts. 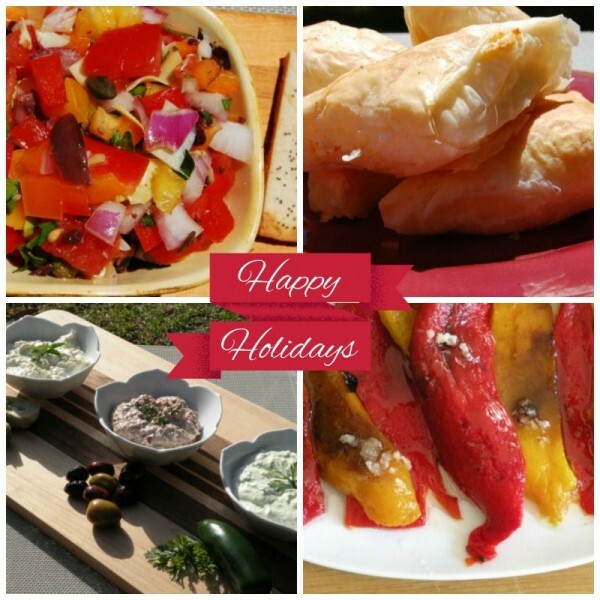 Above I chose: Marinated Peppers, Greek-Phyllo Cheese Triangles, Three Feta Dips, and a Greek Vegetable Salsa. For all the recipes and more go to Appetizers.